Q: I have a document that contains multiple Web links. Is it possible to search for these links and create Link annotations? A: Qoppa’s PDF editor, PDF Studio, is able to search for the text strings that contain http, https or www and add link annotations overlapping the text automatically so they become active links. Make sure “Web Link” is checked. Click Make button to apply changes. 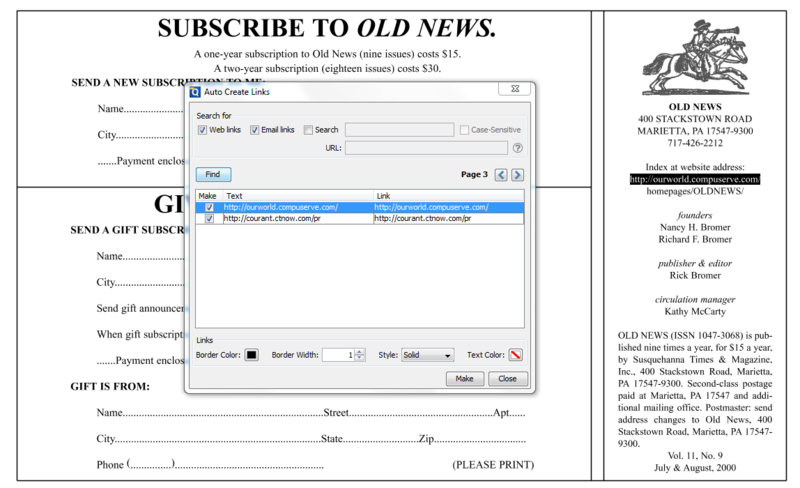 Note: The PDF must contain searchable text in order for the Auto Create Links tool to work. If your document is not searchable, you can OCR the document first and then try to use this tool again.